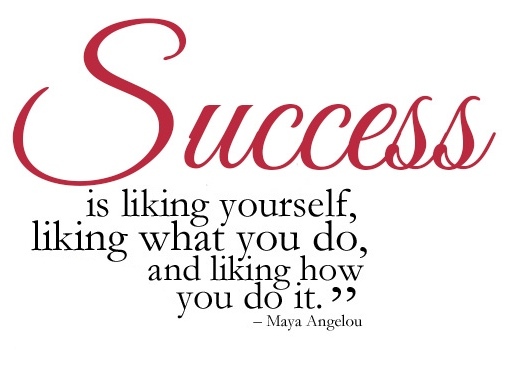 What Does It Take To Be Successful Today? First, realize that people do not care about you as much as you think they might and that the people who truly care about you are not interested in your accomplishments and possessions. They are interested in you. When you find people who really care about you, do everything you can to hold onto them; they are your most precious assets, they will be your foundation. Arranging your life around money will never bring you success. Focus on people who you care about, people who care about you, on your passion. Figure out what elicits certain responses from people, and you will be better able to favorably influence others in your favor. When you know how to speak to change someone’s mind, to instill confidence in someone, to quiet the fears of a child, then you will know firsthand what real power is all about. Prepare for the unexpected and whatever your passion is, always make sure to fully understand the way things are working. While doing this, always keep up in mind that no amount of knowledge can prepare you for chaos that will inevitably hit you one day. Just always make sure to have a Plan B; you cannot let events and others define or tell you who you are. Today, to become successful, there is no shortcut; you have to outperform the other guy, you have to outperform the competition. Always go beyond what is required and, when you will reach the top, start competing compete with yourself. Meantime, be self-aware. If you can see yourself the way others see you, you will be able to work with and get along with others more easily. You want to move along and differentiate yourself from others, just remember that biases always affect everything you do. Your worldview works its way into every decision you make. If you know your biases, you can minimize acting selfishly and do what is right for the situation. Living in the present will keep you focused. Accept that the past cannot be changed, and everyday that goes by, make the most of what is in front of you. Except for errands and petty tasks, do not surround yourself with “yes-men”; avoid them as much as possible. Only people who are very different from you can benefit you and enrich your life by providing new perspectives and learning experiences. Surrounding yourself with like-minded people will not only limit your creativity, it will impair it by denying you of all form of possible challenges. Keep an open mind and if possible, travel and travel even more. Not only will it expose you to other ways of thinking, of living or doing things, it will also provide you with new perspectives on life, it will take you out of your comfort zone and allow you to challenge your own personal beliefs. Never take anything for granted. It is important to keep taking risks to investigate all possibilities until you find your passion. Take care of your health and protect your reputation. You cannot focus on being successful if you are continually indulging your vices or ignoring health problems that are the potential cause of all your possible setbacks. Above everything else, your reputation must be protected. Guard your reputation; make it your first priority to be honest, reliable, and kind, and others will notice and reward you with their trust. Control yourself; always stay in control of your emotions. Anger or panic should never impair decision-making process; a knee-jerk reaction can destroy a lifetime of efforts and work in one moment. Forgive others and forgive yourself. Strangers and loved ones alike will always hurt and disappoint you in some way; this is a fact of life. React accordingly, react appropriately but never hold grudges. Life is short and we live in a world much bigger than ourselves. There is a lot we do not know, a lot you do not know. Nobody knows everything. Always seek the greater purpose. Think strategically. Think systemically. Use a sense of urgency to make the most of your time. If there is a task you can delegate to someone better suited for it, then do it. If there is a discussion about something you are not sufficiently knowledgeable about, resist the urge to jump in. Be honest with yourself. If you are to grow as a person, it is important to see unpleasant things for what they are. Success is a choice; your choice. Success is a decision; your decision. Choosing to be successful and optimistic, regardless of the situation, yields more happiness than negativity. Everyone is afraid of failing; everyone hurts somehow. Nothing is perfect in this world and truthfully enough, unlike in the movies, the good guys do not always win.The successful ones know how to accept their fears and keep anxiety from restraining them. Good fortune is the most elusive aspect of success; only confidence in yourself will take you places. Believe in yourself and be kind to everyone. People will believe and trust you; they will reward you with their trust. Moving forward is the key to success.